Are you an educator? START HERE! Double-click on the Foldit icon on your Desktop. It will start up, saying "Contacting Server to Check for Updates..."
You will be presented with a splash screen with the game credits. Click the green start button. It will say "Getting News..."
Click OK to go past the news if there is any. You will be presented with a login screen saying "Please enter your username and password." 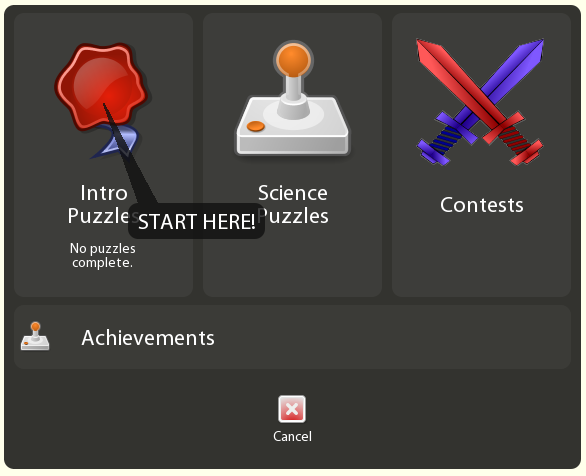 Enter your username and password, then click "Play Online"
It will say "Logging in..." and "Getting Puzzles..."
Once you have beaten all the intro levels you can start playing the Science Puzzles, such as the Beginner Puzzles. This will bring up the puzzle selection screen, with a colored icon for each completed intro puzzle. THIS POST IS THANKS TO axcho who originally posted it. 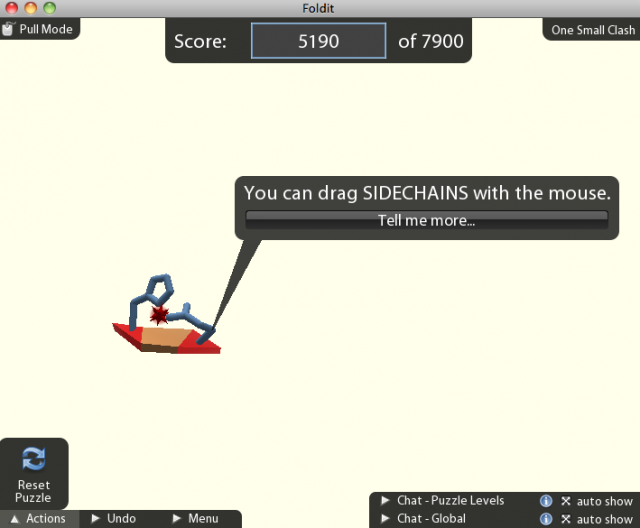 For even more information, be sure to check out the wiki (http://foldit.wikia.com/wiki/FoldIt_Wiki) there is a lot of great info there, tips, tricks, info about structures, as well as videos for an entire biochemistry class if you want to learn more!